It might have seemed like his lucky day when packages of marijuana washed ashore on a Florida beach on Sept. 13, but a man who allegedly took a "brick" of the drug and hid it in his car has been arrested, according to police. (PALM COAST, Fla.) — It might have seemed like his lucky day when packages of marijuana washed ashore on a Florida beach on Sept. 13, but a man who allegedly took a “brick” of the drug and hid it in his car has been arrested, according to police. 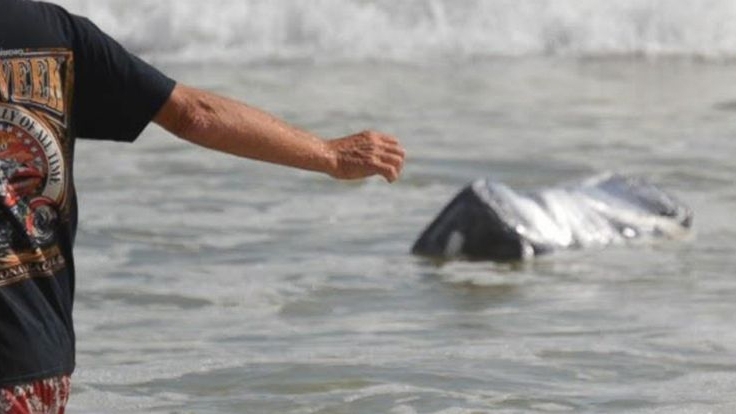 Over the course of two days, a total of 100 pounds of marijuana wrapped in plastic bags were seen floating ashore on the beaches of Flagler and Volusia Counties, according to the Flagler County Sheriff’s Office. Witnesses told police a man named Robert Kelley was attempting to open the bundles of marijuana and “steal” individual packages, according to a police statement. When police arrived on the scene, they found a “brick” of marijuana weighing about 11 pounds wrapped in a brown towel in Kelley’s trunk, the statement said. “Robert originally said he did not take the brick from inside the bundle and stated it was individually separated from the bundle when it washed ashore,” Deputy Jayd Capela said in an affidavit. “When Kelley was asked why he had not alerted law enforcement immediately, he stated he did not alert [Flagler County Sheriff’s Office] because he did not know if the sheriff’s office was going to come or not,” police said. The suspected narcotics tested positive for marijuana, police said in the statement, and Kelley was arrested for possession of more than 20 grams of marijuana. “Others were attempting to do the same thing,” police said in the statement. However, the search for these suspects has been suspended, as the investigation was handed over to U.S. Customs and Border Patrol, according to FCSO Public Affairs Officer Shannon Martin. Kelley, who was transported to Sheriff Perry Hall Inmate Detention Facility on Sept. 13, was released on $2,500 bond. His arraignment is set for Oct. 29, 2018. ABC News could not reach Kelley for comment.